In the era of smartphones, privacy has become a front line concern, and there are reasons for that. A mobile stores an infinity of personal data; from messaging conversations, to emails, to photos or documents, and nobody wants them to be exposed to anyone’s eyes. More and more brands offer solutions focused on privacy on their phones, such as Samsung. Some terminals of the Galaxy series come with a feature called Secure Folder, which, as its name suggests, allows us to keep that sensitive information we have on our phones safe. We tell you how to configure it and start protecting your files. 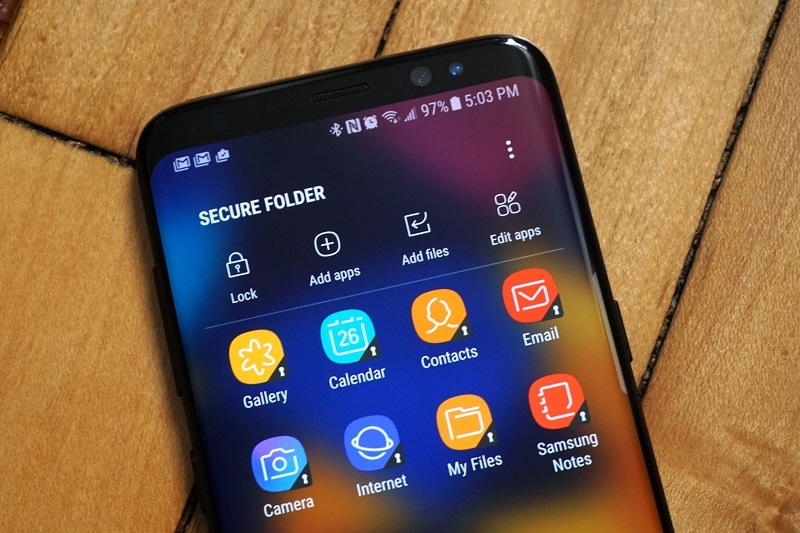 Safe Folder appears as an icon in the home screen of some models of the Samsung Galaxy series, but it is not an application like the others. This function is rather a private space inside the phone where we can have photos, documents, notes and also other applications. But let’s not get ahead of ourselves, first of all, in order to use Secure Folder you have to configure the method with which we will protect the content. Samsung lets us choose between Pattern, Secret number, Password or Fingerprint. In my case, as the device from which I configured it has a fingerprint reader, I have selected this method for convenience. The next step is to create a password so that, in case the reader does not work, we can access the content, but normally it is enough to open a Safe Folder with a finger resting on the fingerprint reader. By default, Secure Folder contains versions of the Email, Gallery, Camera, Contacts, Internet, My Files and Samsung Notes apps. The idea is that everything we do with these apps will only be accessible from this section, which we can only access with our fingerprint. If for example we take a photo with the camera, the resulting image will only appear inside the gallery that is in Safe Folder and not in the normal gallery. The same happens with the notes, the contacts that we store or the pages that we visit from the browser. We said that Safe Folder is a private space within the phone, and as such has its own Settings menu. Within this section we can choose a new blocking method, configure the automatic blocking and even the notifications that we will receive in the apps that we have added. In addition, it has its own application manager and allows you to add accounts from different services such as Google, Samsung, Microsoft Exchange, Facebook, Telegram and many more, just like the Accounts section of the normal menu. In short, something like having a phone inside the phone. As we have already anticipated, Safe Folder not only serves to save files, it also allows you to have copies of the apps that we have installed on your mobile or download any from the Play Store. To add new apps just click on the Add button and choose those you want to keep protected. This option is very useful if for example we have two Instagram accounts and we want one of them not to be available to anyone who picks up our mobile, and the same for Facebook, Gmail or any other app. Of course, if it is an app that, like WhatsApp, works by association with a phone number, it will be necessary to have a Dual SIM device. 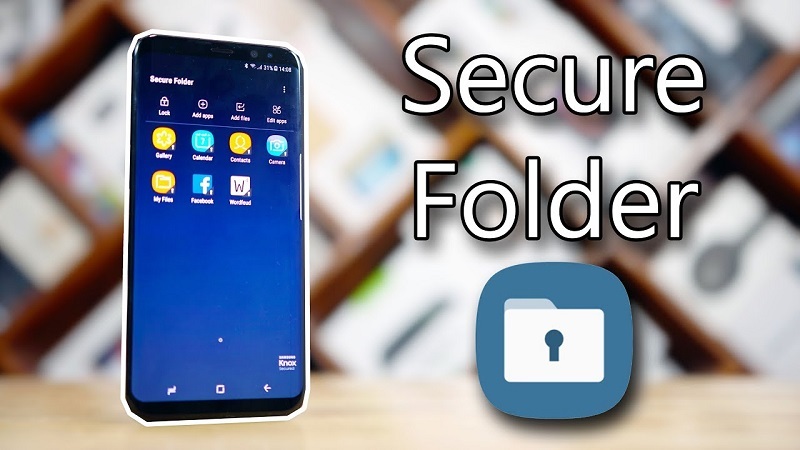 We have also talked about Safe Folder has its own photo gallery and file folder, which we can fill from within this section or from the normal gallery of the phone. Once you have configured this function, if for example you select several photos in the public gallery of your mobile and click on Share, in the menu the option of sending them to the Secure Folder will appear so that they are safely stored. The same applies to downloaded documents and many other elements such as notes created with Samsung Notes. 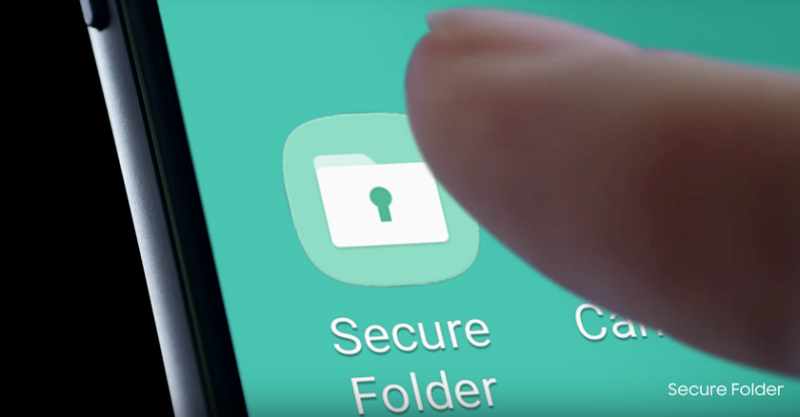 Secure Folder, also known as Secure Folder, is the evolution of KNOX’s private mode and was announced along with the failed Samsung Galaxy Note 7. At the moment the only terminals that are part of series are the Samsung Galaxy A 2017, but it is expected that I arrived at the Galaxy S7 duo with the update to Nougat.